Street Fighter: The Legend of Chun-Li is Hollywood's second live-action effort at bringing Street Fighter to the silver screen. 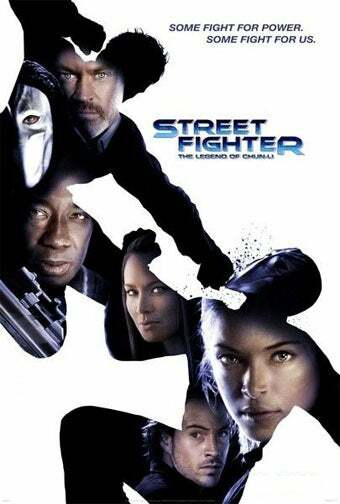 The first Street Fighter was generally panned by critics, so this has to be better. The original Street Fighter (1994) was so bad, it's good. Heavy on camp and with a solid performance from the late Raul Julia, the hammy flick has been considered a cult classic by some viewers in recent years — with others would prefer to forget the motion picture ever happened. Street Fighter: The Legend of Chun-Li is a reboot of sorts, trying to do to Street Fighter what, for example, Batman Begins did to Batman. But does it succeed in breathing new life into Hollywood's take on Street Fighter? Kristin Kreuk - Kristin Kreuk does not look like Chun-Li — she knows that! But she does try to bring some humanity and realism to the character. Gritty - The Street Fighter series has always had a wonderfully gritty, grimy feel to it. It's not called Street Fighter on accident! The movie attempts to capture that vibe of the streets (in this case, Bangkok), and succeeds in doing so to an extent. Ditto for characters: Smart move not to put Bison in a red cape, but a business suit. Fight Scenes - A movie about Street Fighter needs fighting. The fight scenes are workman-like in their choreography and do the job. The film's director Andrzej Bartkowiak helmed the Jet Li flick Romeo Must Die, so he knows how to shoot a fight. He also directed the Doom movie, so he knows how to... Yeah. The Story - Makes. No. Sense. Since the source material is a fighting game, the film's writer and director have ample room to explore and spin a yarn. They do, but the end result is half-baked. Bison's origin story - Do we even need an origin story for Bison? How about better characterization? Instead of having him perform some bizarre ritual to become evil, why not have Akuma appear as some Faust-like character? Makes sense in the Street Fighter mythos and saves us a goofy Bison backstory. The Reason Bison Kidnaps Chun-Li's Father - This is almost a silly as the bizarre ritual Bison performs, but not quite. There are places where Street Fighter: The Legend of Chun-Li succeeds, but those places are too far and too few in between. There is potential, however, in big screen versions of Street Fighter, and we do look forward to them. This, though, is a false start. Or rather, a false start 2: electric boogaloo. The end result does show how far Hollywood has come since 1994. We don't get a straight up video-game-turned-into-a-movie movie. What we do get just isn't a very good film. Street Fighter: The Legend of Chun-Li is released in U.S. theaters today. Confused by our reviews? Read our F.A.Q.